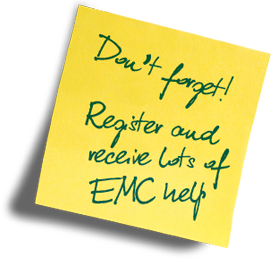 This is a guide for the system designers and installers faced with the day-to-day issues of achieving EMC, and will be found valuable across a wide range of roles and sectors, including process control, manufacturing, medical, IT and building management. The EMC issues covered will also make this book essential reading for product manufacturers and suppliers - and highly relevant for managers as well as technical staff. The authors' approach is thoroughly practical - all areas of installation EMC are covered, with particular emphasis on cabling and earthing. Students on MSc and CPD programmes will also find in this book some valuable real-world antidotes to the academic treatises. 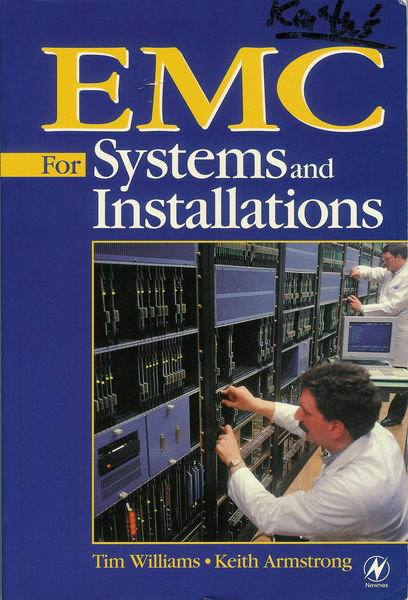 The book is presented in two parts: the first is non-technical, and looks at the need for EMC in the context of systems and installations, with a chapter on the management aspects of EMC. 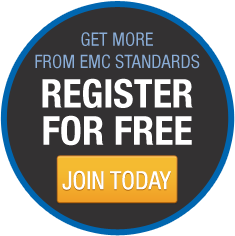 The second part covers the technical aspects of EMC, looking at the various established methods which can be applied to ensure compatibility, and setting these in the context of the new responsibilities facing system builders. 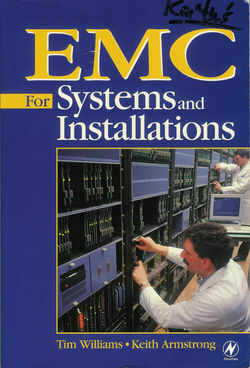 EMC for Systems and Installations is designed to complement Tim Williams' highly successful EMC for Product Designers.